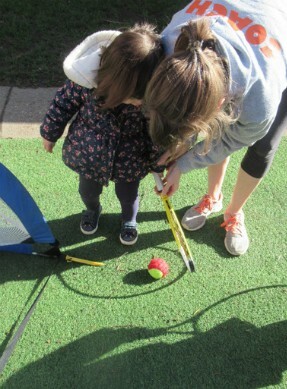 The Toddlers have been taking part in their weekly sessions of tennis. 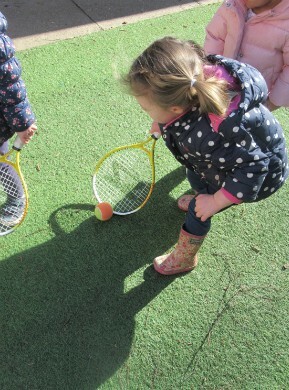 This term they are learning about balancing their balls on their rackets and being able to hit them in to goals and over a net. Whilst this is great for their gross motor skills this will in turn have positive effects on their fine motor skills later on. 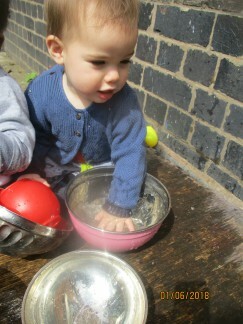 The Pre school children enjoyed their trip to the Think tank. 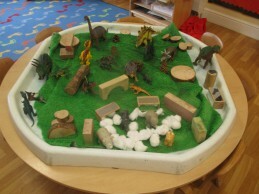 They explored the different dinosaurs and fossils. 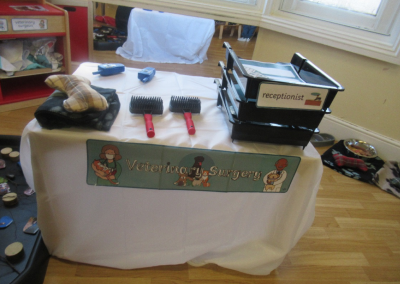 They enjoyed learning about different tools and even got the chance to take on different roles such as a dentist, fire person and a bee keeper! 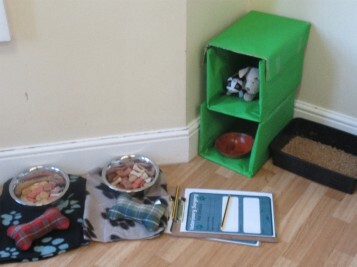 The pre school children have been changing their role play area in to a ‘vet corner’ complete with feeding area and dog walking facilities! 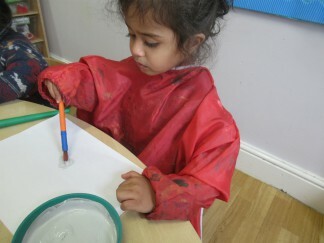 Our Toddlers have been learning about ‘Ice Colours’ for our Winter activities. They used small mark making tools to focus on their fine motor skills, and used icey colours to create winter scenes to go on our display board. Our Babies have been very interested in books. Giving them the opportunity for a quiet time to look at them and read them with their Key Person, they are engaging in the story and pointing out familiar pictures. The Pre school children all took part in a Christmas concert for their parents at St Georges church. 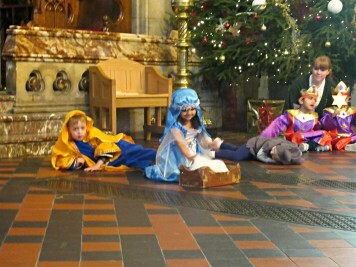 The children told the story of when baby Jesus was born. 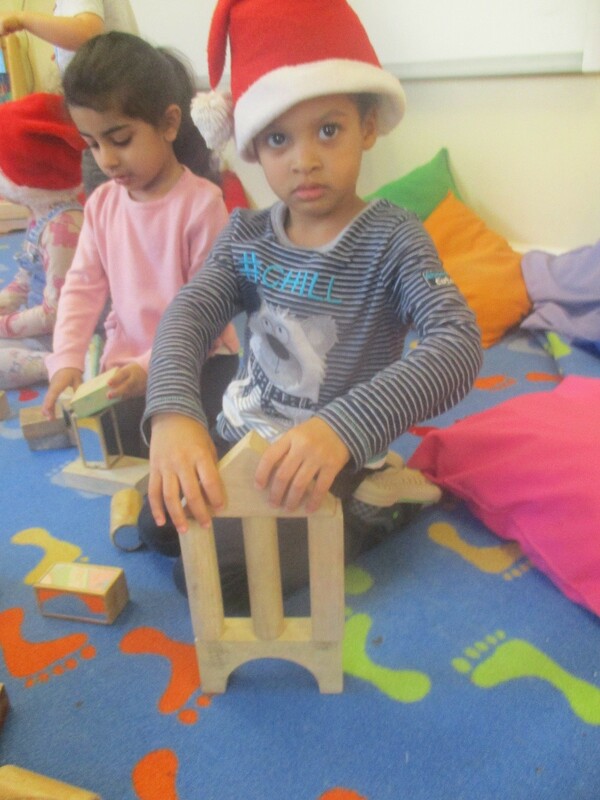 The children then sang a selection of Christmas songs that they had been learning together. 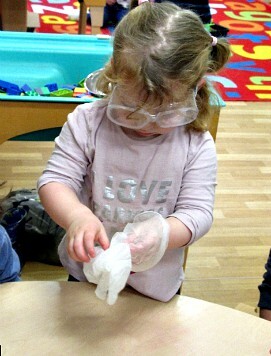 As part of Experiment Week the children have been exploring their new science kits and learning how the body works! 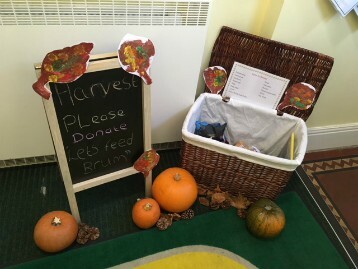 Harborne road are collecting for their Harvest festival. We are donating it to the local charity lets feed Brum’. 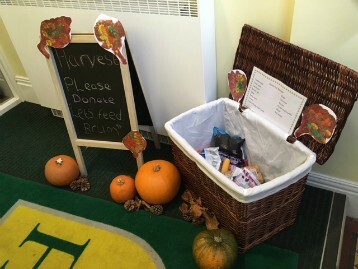 We are asking the children, families and staff to donate a number of items that we can then take to the local soup kitchen which will then be given out to people who are homeless and in need. The Babies have a new role play area where they can wash and dress their dolls, take them for a walk in the pushchairs, read them stories and then tuck them in to bed! 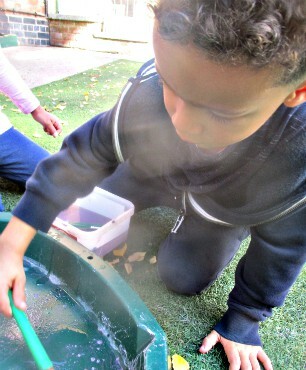 The Pre school Children have been mark making using different tools and materials, including sand, water and paint brushes. The Pre school children had a session with our friends from “Mini first aid”. 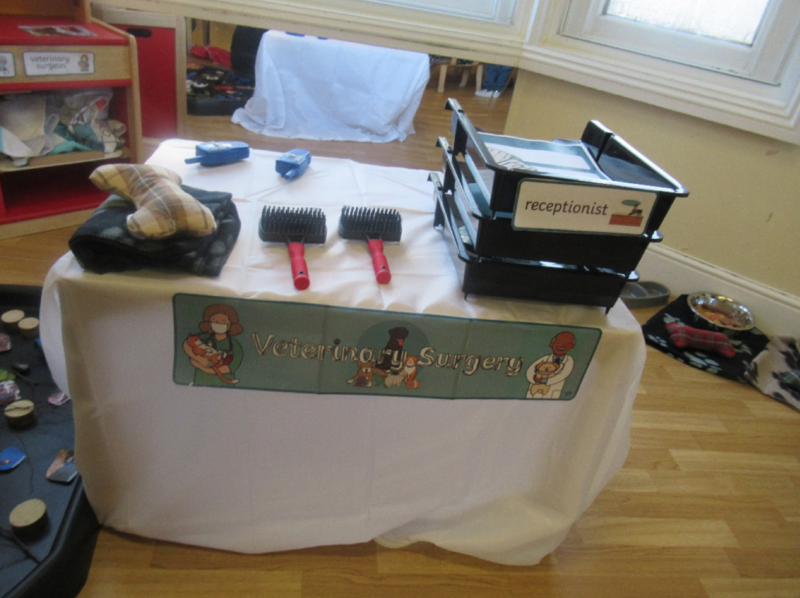 The children learnt all about how to look after each other when accidents happen. 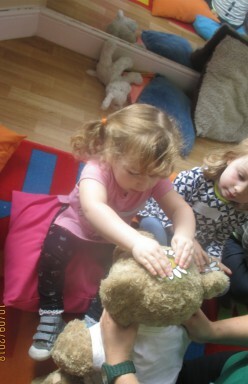 They practiced putting plasters on the teddy, using ice packs and bandages. 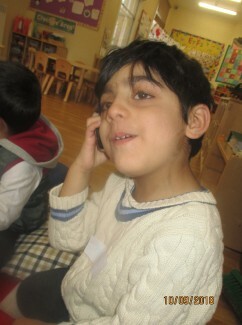 The children also learnt what they had to do if it was a emergency and who they had to call. The children then used a pretend phone to practice calling an ambulance. 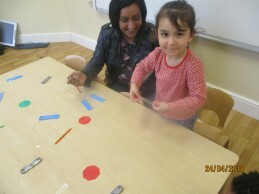 The Pre school children have been exploring shapes and sizes. 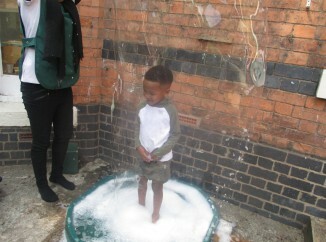 They completed part of this activity by experimenting with bubbles and hoops. 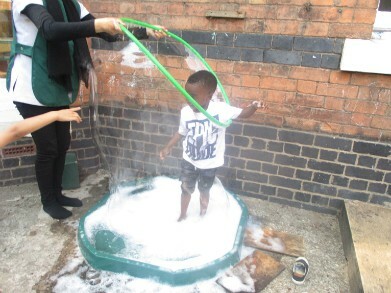 They each took it in turns to stand inside the hoops and they had great fun splashing the water and making bubbles! 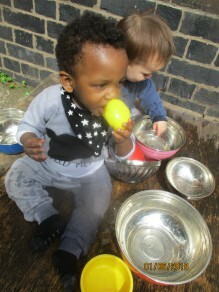 Babies 2 have been learning about different movements using balls and water. 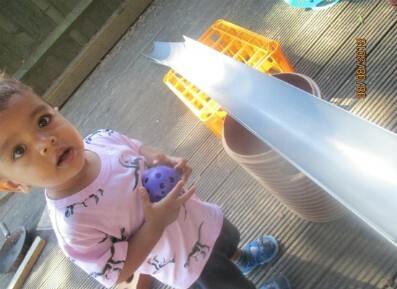 The staff helped the babies set up a course for the balls to travel down, the babies helped with moving the guttering to form the course. 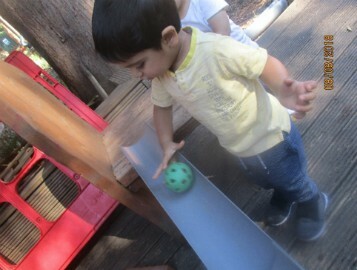 The babies took it in turns to roll their play balls down. 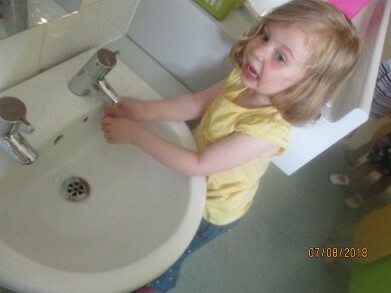 The Pre School children have been learning all about the importance of Hygiene. They discussed why we must wash our hands and then did some research on the different types of germs and what they could look like under a microscope. 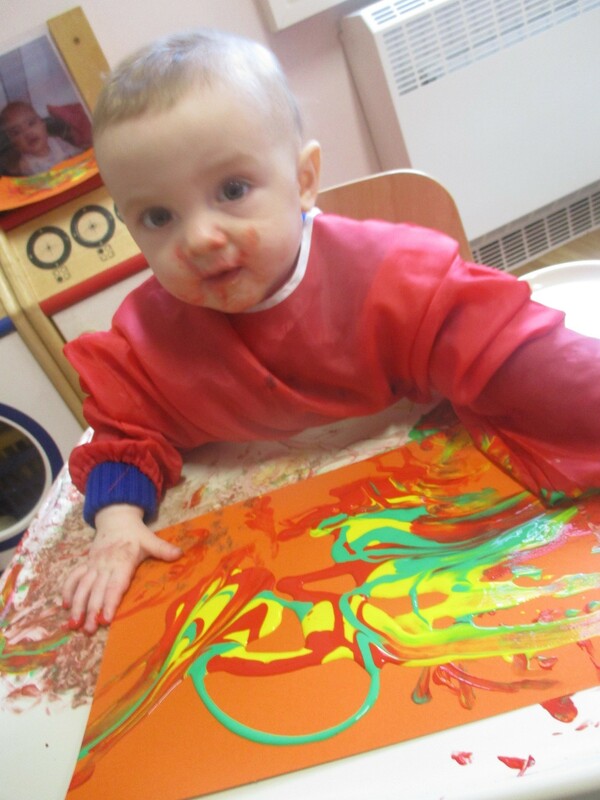 The babies had great fun creating pictures using different textures. They were given various resources to use such as cotton pads, pom poms and paint! 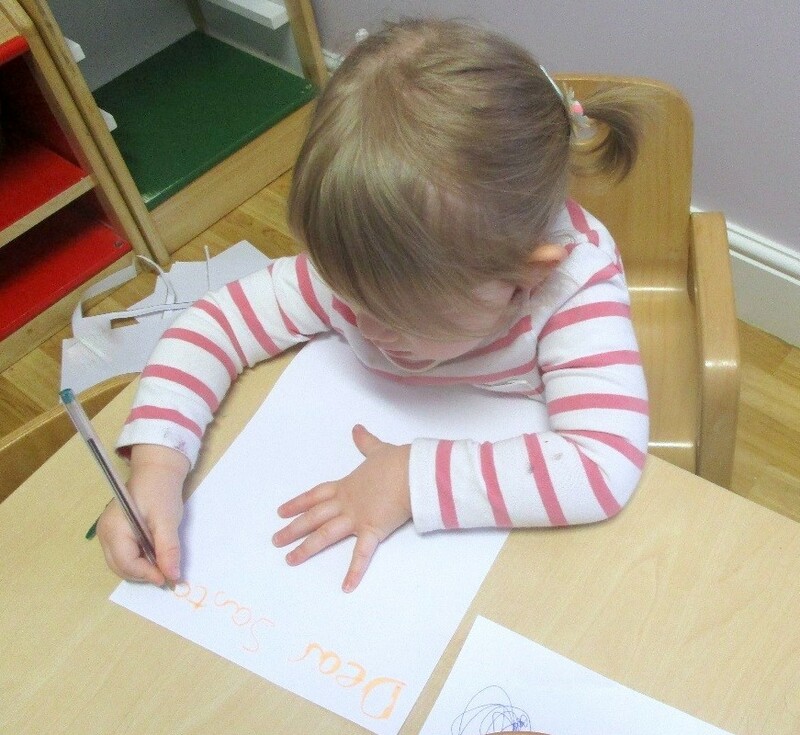 The Toddler children have been learning all about their letters, the name, sound and shape of them. 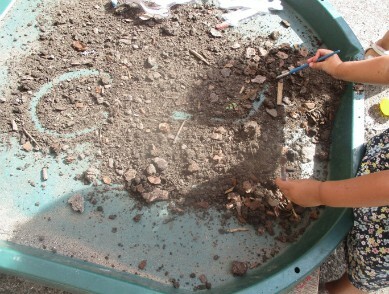 Whilst in the garden the children were encouraged to then create their own marks and symbols in the mud using their brushes and their fingers. 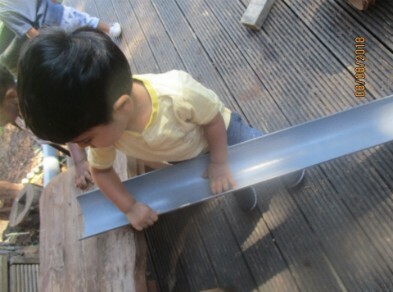 The Toddler children made different bridges using the resources in the garden. So that their cars could travel over and in to the bark which was the ‘Water and Mud’! 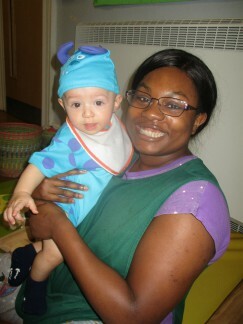 The Baby room had a day celebrating “National Caribbean Day”. 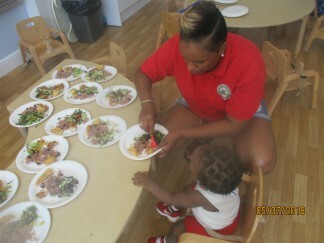 One of the Parents cooked and brought in some sample foods for the children to explore and taste! The Pre school children took part in their own sports day! 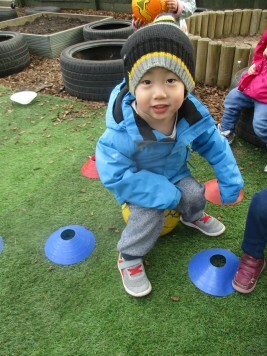 They learnt many new skills including balancing, jumping, kicking, catching, throwing, spatial awareness and how to work as a team! 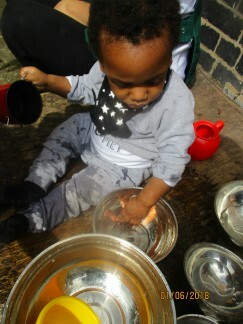 Babies 1 enjoyed exploring water. 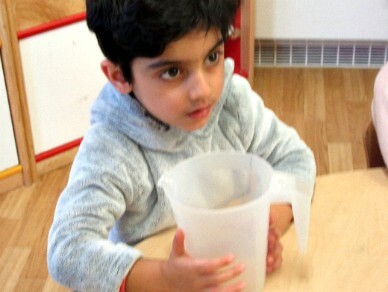 They had a go at filling and emptying the different bowls and jugs. 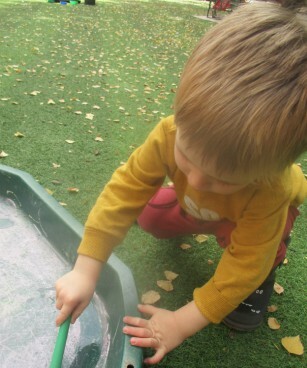 They also had lots of fun splashing themselves! 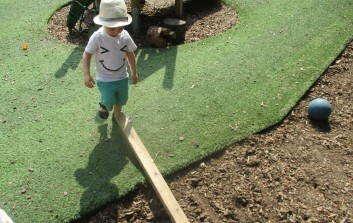 The pre school children have been exploring spatial awareness. 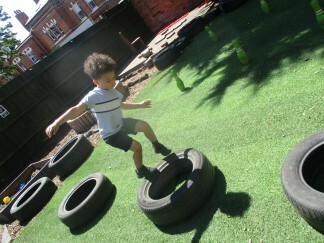 They made their own obstacle course and station using the equipment in the garden. 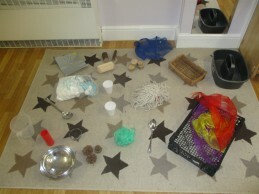 This enabled them to work together, to gain body awareness and an understanding of spatial relationships. 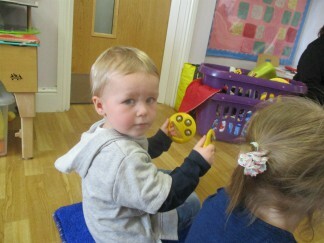 The toddler children have enjoyed the song “5 little Ducks”. 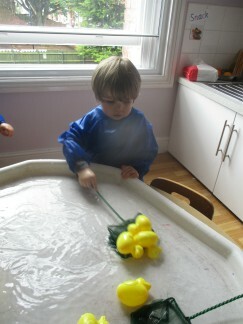 After exploring the different varieties of ducks, they created their own pond! 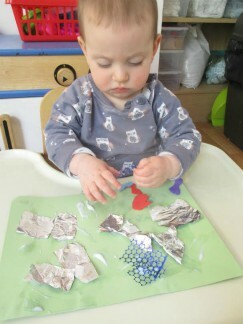 Babies 1 have been exploring different textures and they made their own textured collage. 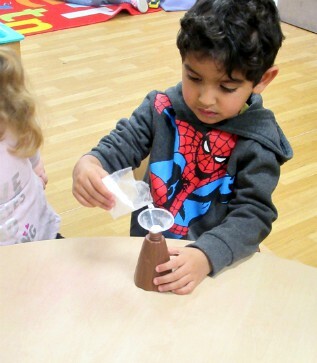 They had fun putting all the glue on their paper and getting very sticky! Babies 2 have been decorating their own invite to their “Royal Wedding” party! 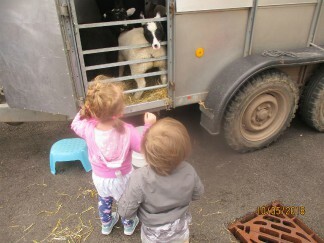 The Pre School children enjoy a visit from “farm on wheels”. 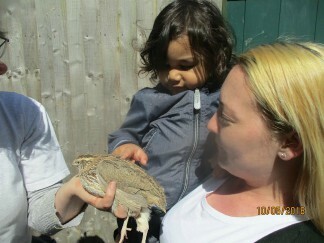 They all got a chance to stroke, feed and hold the baby animals . 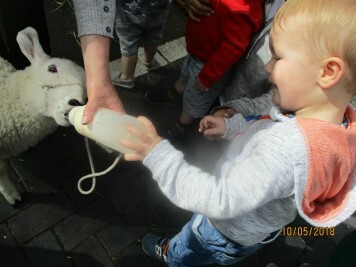 The Toddler children enjoy a visit from “farm on wheels”. 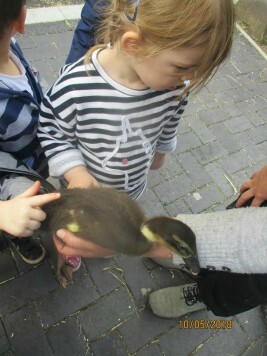 They all got a chance to stroke, feed and every hold the baby animals. 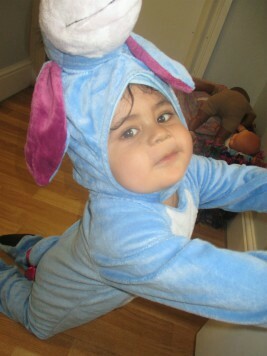 The babies 2 room dressed up as characters from Winnie the Pooh. The children made masks of the characters and even sang some Winnie the pooh songs and had a game of “pooh sticks”! The Pre School staff arranged for a Pre-Writing skills Workshop for the parents to attend. 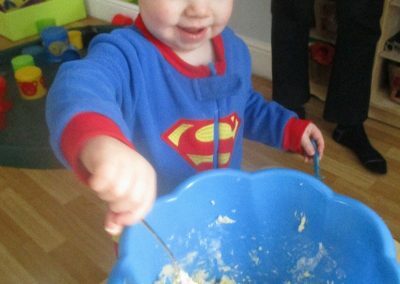 This was following on from the training that the staff had, they thought it would really beneficial for the parents to pick up some of the tips and activity ideas to do at home. 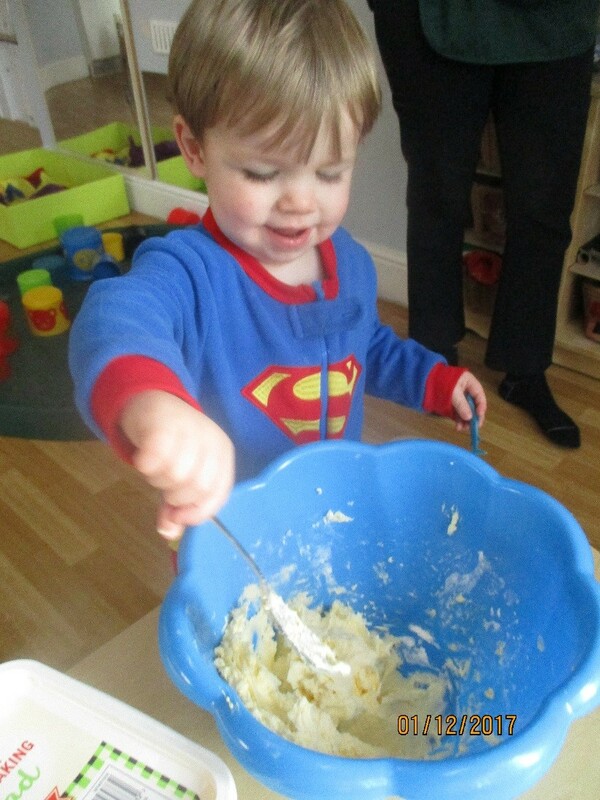 There were activities to encourage fine motor skills, pincer control and gross motor skills. 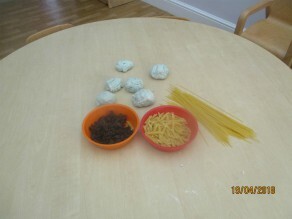 Some of these included taking part in some “Dough Disco”, which involved removing objects that were stuck to the table. 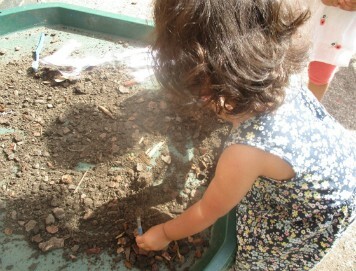 The children have been exploring the “natural way to play” this week. 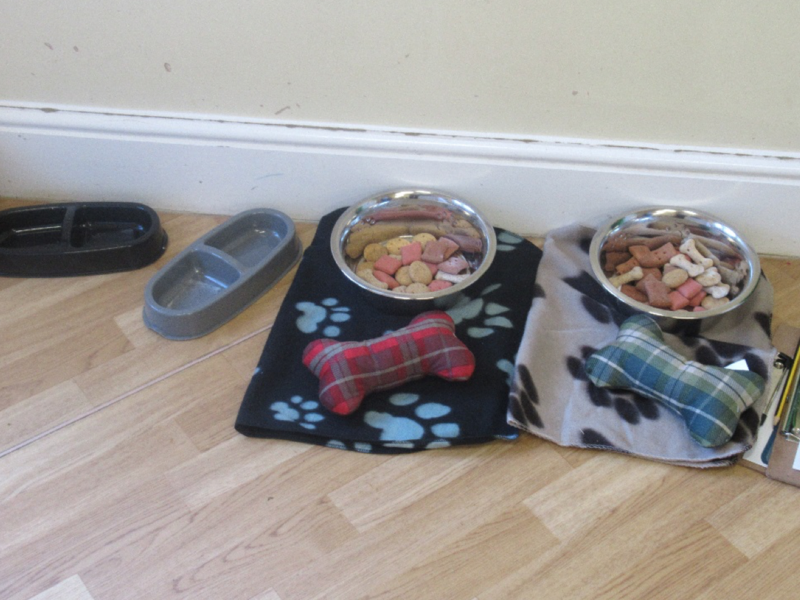 Following on from a training session that all staff attended they have been adding lots more natural resources to their activities. 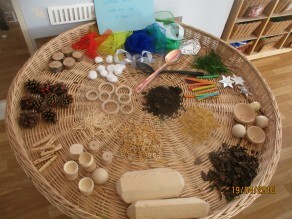 As a result the children have been able to select their own resources creating their own imaginative games! 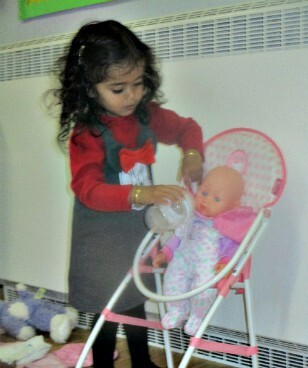 Some of the children have been learning how to look after babies. 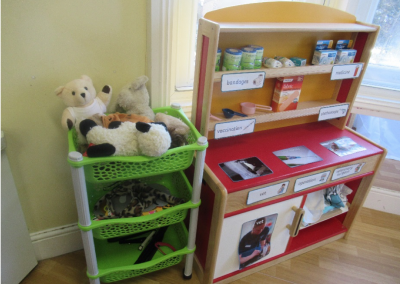 We used the dolls that we have in our role play area ,as well as the children’s own spoons, plates, cups and bottles that they use in nursery, so that they could feed their children using “real life” equipment. 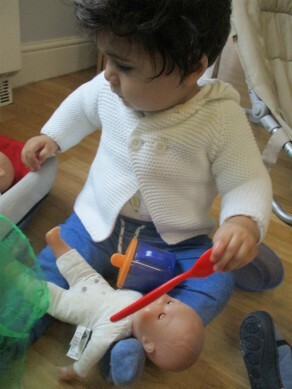 We also bathed the dolls, and got them dressed and even put some nappies on them! Our Younger baby room has had some new starters this month. 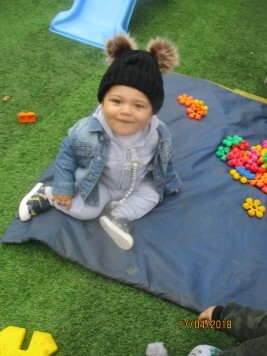 They have enjoyed exploring their new surroundings and making some new friends with the other children and adults. 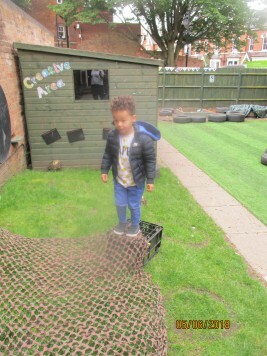 The two new children really enjoyed exploring our garden area, moving around our Astro turf and feeling the different textures. 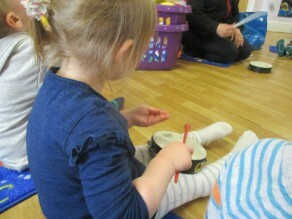 The toddler children take part in Rhythm time every week. They have great fun learning about different pitches, tones and rhythms. 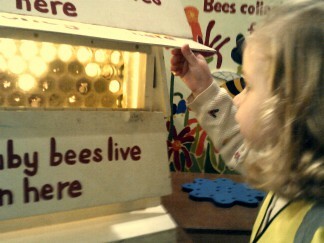 They use lots of different instruments to make a range of sounds, as well as following on from beats and songs. They also use lots of visual aids such as cuddly toys and parachutes. The Pre school children take part in a weekly football class. They learn all about balls skills such as learning to control the ball, correct safety measures, scoring goals, different strengths of kicks. 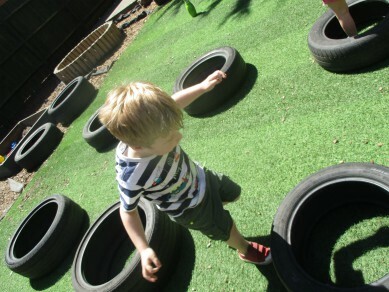 As well as being a great social activity, the children get some physical exercise. 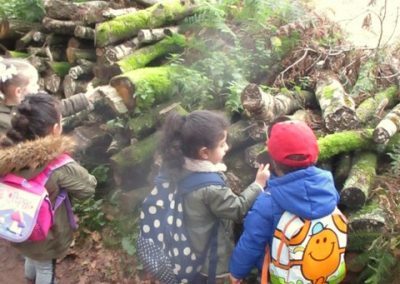 The Pre-School children enjoyed a Trip to Clent Hills where they went on a dinosaur hunt! 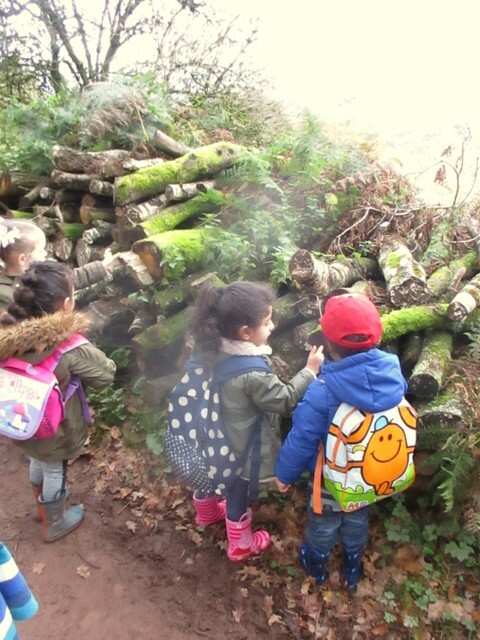 The children walked to the top of the hill and pretended they were dinosaurs and searched for footprints. We then went on a dinosaur egg hunt in the natural play area, finishing off our day with a lovely picnic. 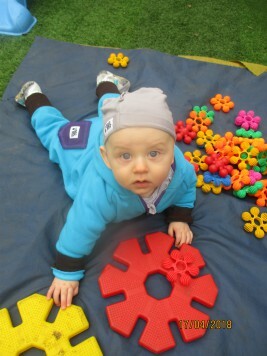 The Toddler children enjoyed their first Yoga session! The theme was all about the Beach. The Children took part in a yoga story where they had to move in different ways to act out the parts of the story. 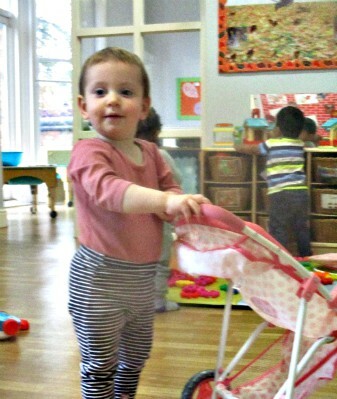 They learnt all about balance and stretching as well! 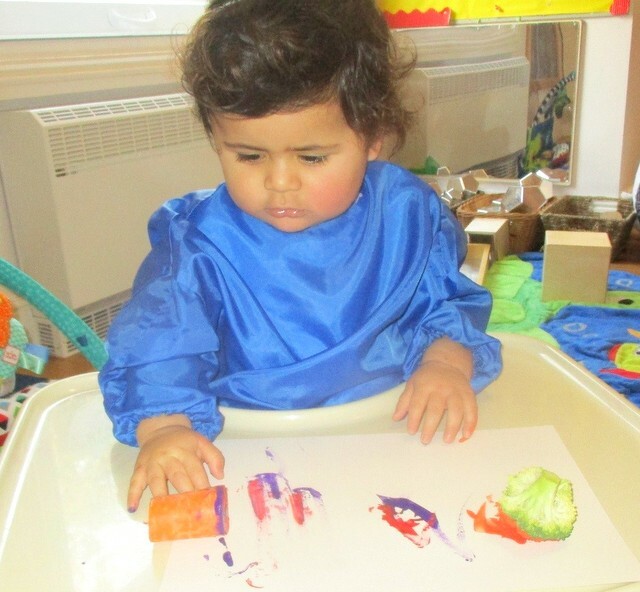 The babies enjoyed exploring texture and colour by creating different pictures using Vegetables. 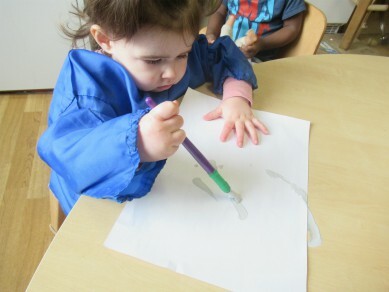 The children also created their own marks and are beginning to explore mark making and fine motor skills! 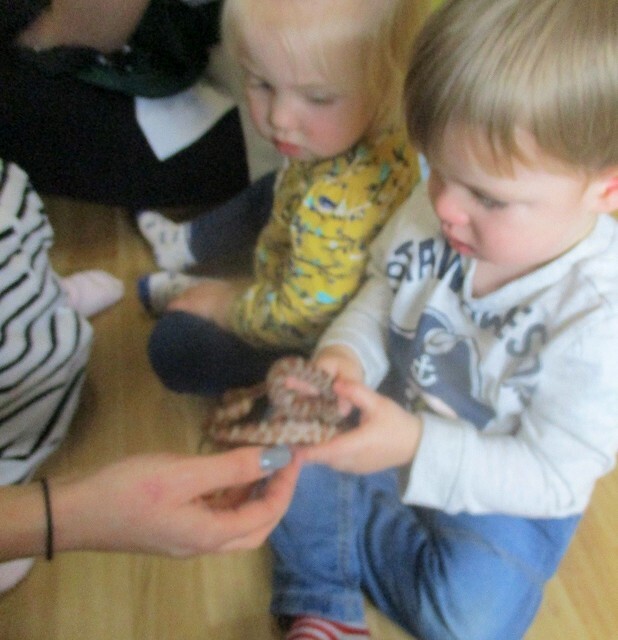 The Babies enjoyed a visit from the Animal Lady. 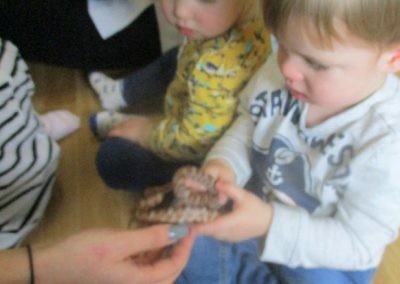 She brought lots of different animals and some of the children were brave enough to hold or stroke them! 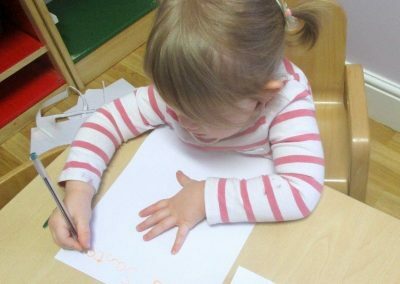 The Toddler children have enjoyed writing their letters to Santa. They also practiced their fine motor skills using sellotape and scissors to wrap presents. 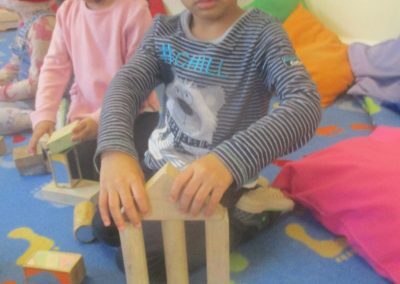 Pre-School have been exploring different building structures. All of the children came dressed as their favourite superhero to raise money for the Neo-Natal Unit at Russells Hall Hospital. 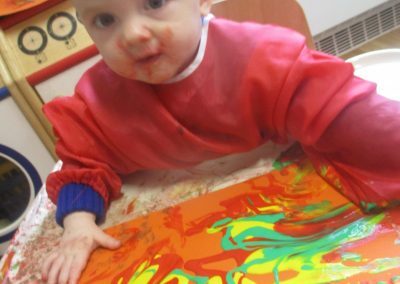 Babies 1 enjoyed making their own Christmas place mats. 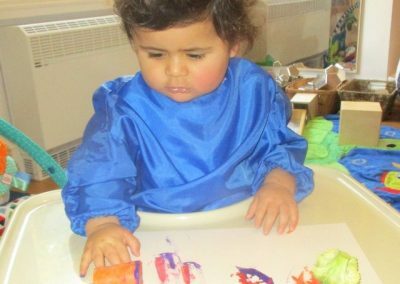 They explored different colours and textures, moving their fingers around in the paint to create different marks on their card.